INK FAIR LONDON IS AN INTERNATIONAL ANTIQUARIAN BOOK AND ART FAIR WITH AN EMPHASIS ON LUXURY AND QUALITY. Held at 2 Temple Place on London’s Embankment, an extraordinary and beautiful Gothic mansion and one of the capital’s best kept secrets, INK Fair London brings together 30 of the most significant and respected European and American dealers in rare books, art works, and manuscripts, for a three-day event that promises to be the highlight of every collector’s year. 2 Temple Place is a magnificently eccentric fin-de-siecle residence, built by newspaper and property magnate William Waldorf Astor to house his family and his art and book collection. It might almost have been designed with INK Fair London in mind. Its opulent interior is a bibliophile’s delight, boasting a treasure trove of literary references. These include a frieze of 80 Shakespearean characters, a main staircase featuring mahogany carvings of The Three Musketeers (and D’Artagnan), statues of Rip Van Winkle and Hester Prynne and a series of silver gilt panels depicting the women of Malory’s Morte d’Arthur. 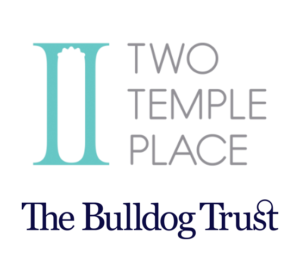 The building also has links to a more contemporary cultural phenomenon – 2 Temple Place is where the marriage of Lady Rose and Atticus Aldrige was filmed for Downton Abbey. It would be hard to find a more fitting home for this exciting and prestigious book fair.